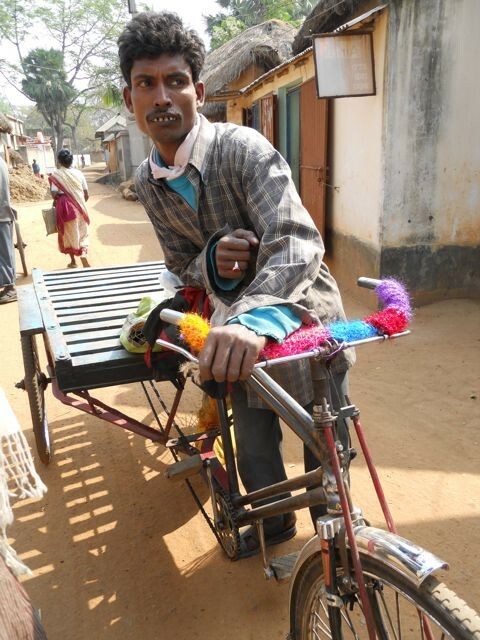 In Nepal when the rickshaw driver walked up and saw me yarnbombing his rickshaw, he stood there as if it was like any other normal event of the day? 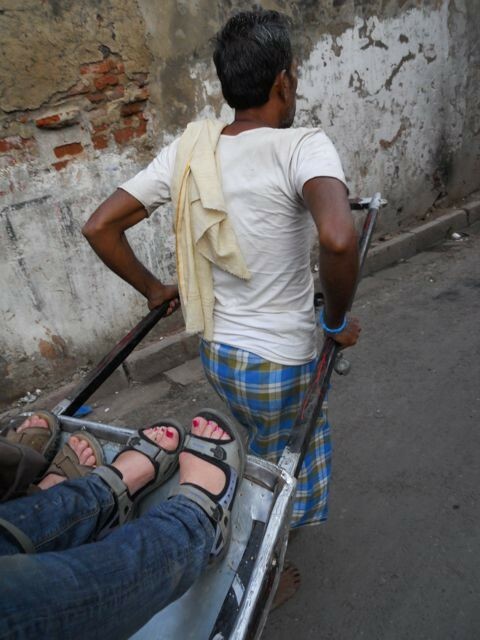 when I finished, he stood back, looked it over, approved it and then rode away on his bicycle rickshaw? As he pedaled away the yarn blended into the colorful surroundings as if it was just another patch of the Nepali fabric of (very colorful) life? 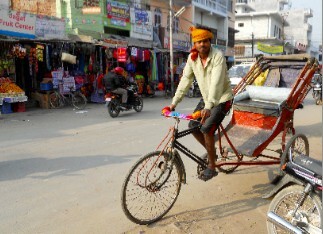 And then another bicycle rickshaw pulled up and gestured me to do his rickshaw, too!